Ice Age Village – Games for Android 2018 – Free download. 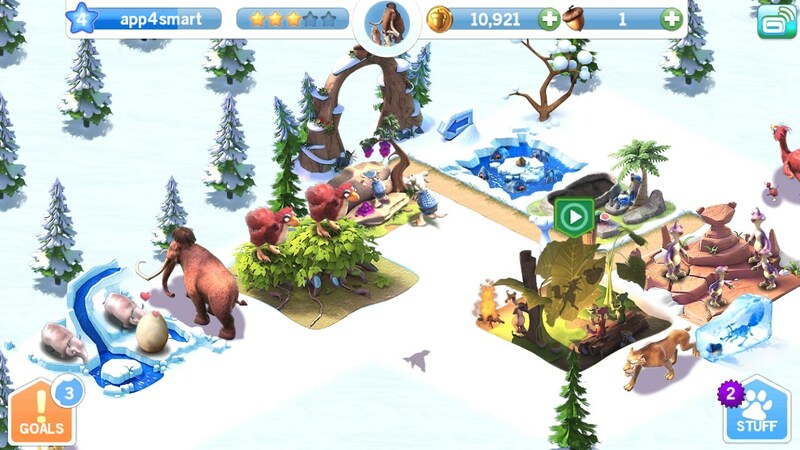 Ice Age Village – Keep warm with your favorite characters. 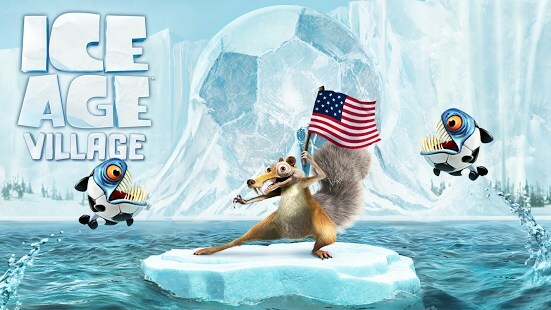 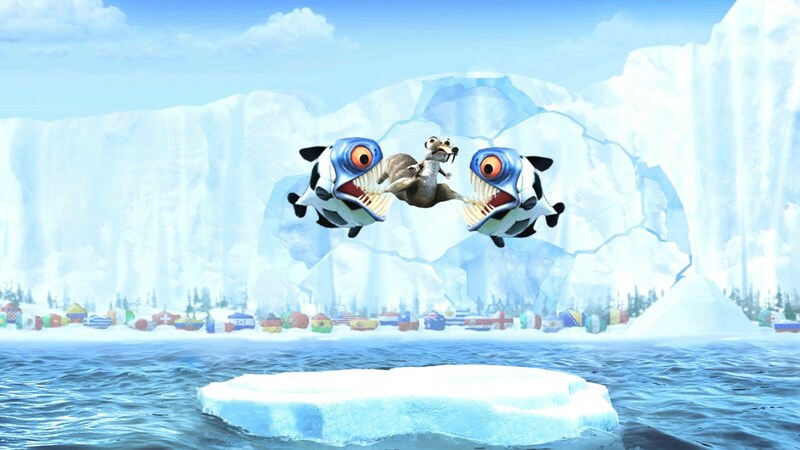 Join your favorite Ice Age characters as they go about their daily lives in Ice Age Village. 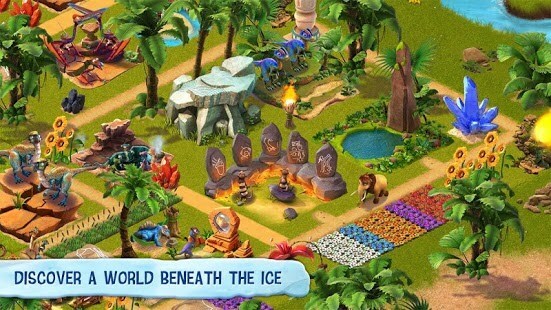 Here you can build your own village and create an utopia for all animals, big and small to enjoy. 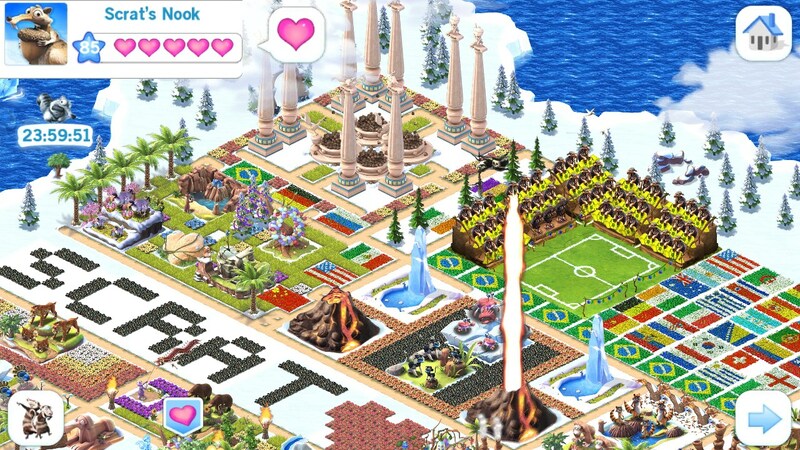 A casual game, designed to be played over long periods of time, it is a decent game that allows you to alleviate boredom. 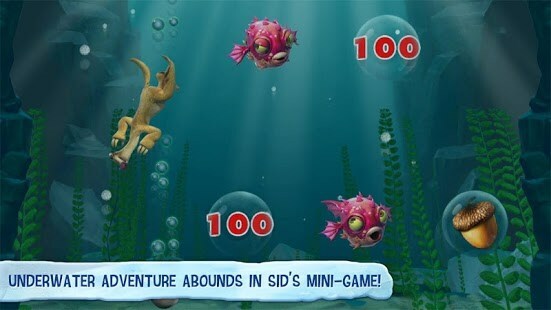 The gameplay is so simple that even children can easily get the hang of it. 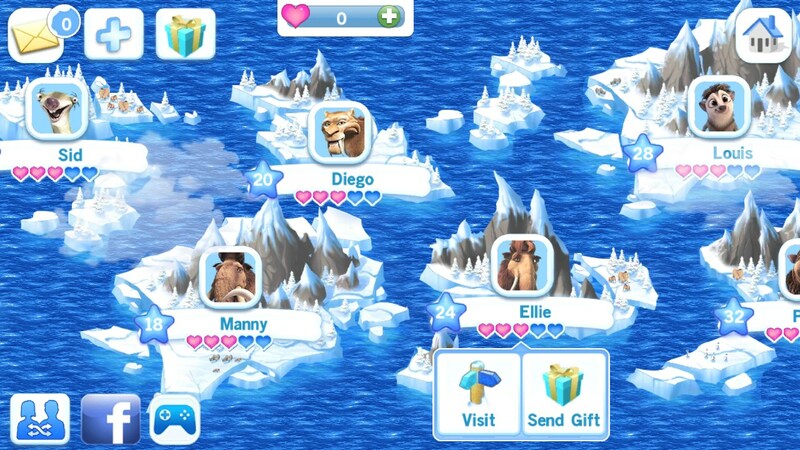 The rightly named “Stuff” menu gives the user access to all the tools he needs, from buildings to the world map, game options and so much more. 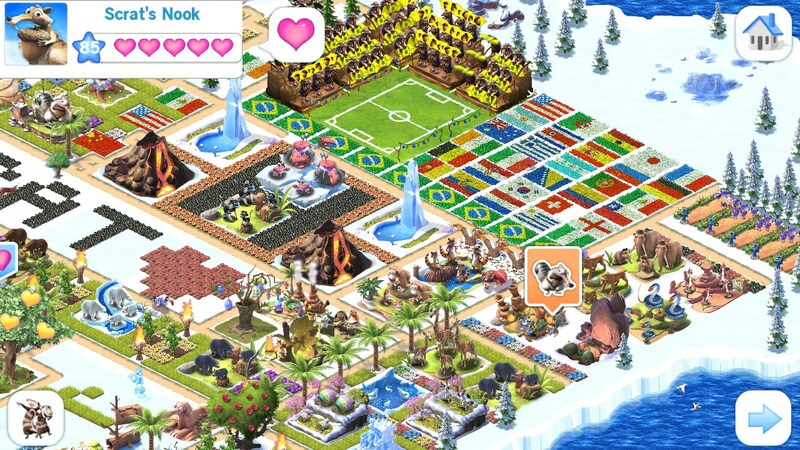 From this menu you can purchase all the houses and customization items for your village. 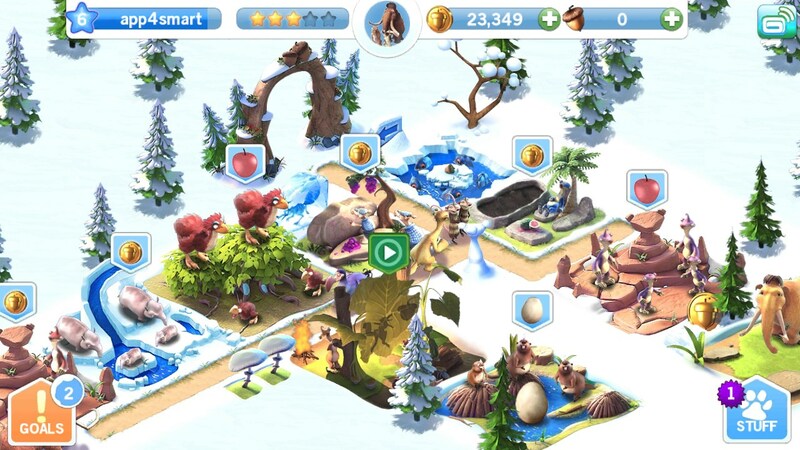 Once you get started building the village, you will need animals to populate it. 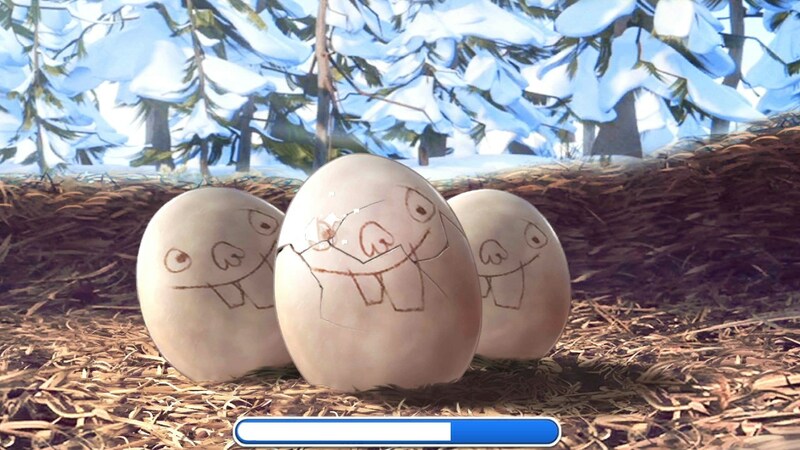 Adults are simply bought, while babies must be hatched by purchasing the egg and rubbing it until it hatches. 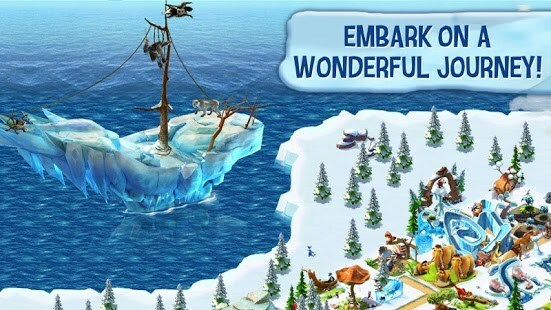 Visually the game looks really outdated by today’s standards, more like something that has its place when Android games were just getting started. 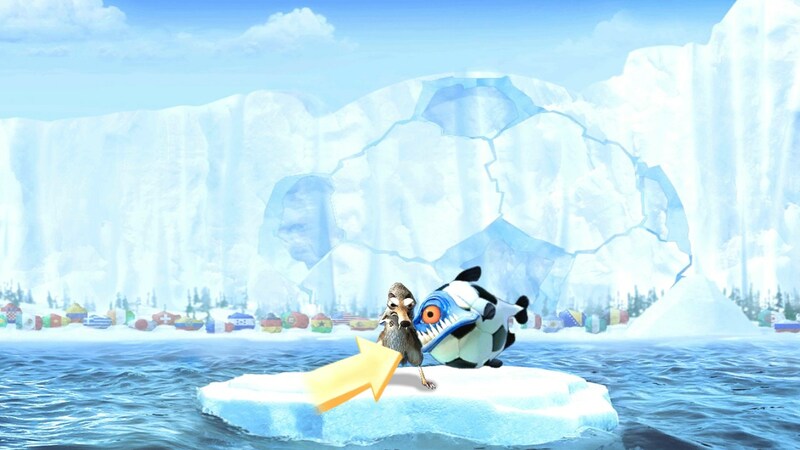 It would be nice if the characters had actual voice overs to immerse you even more in the world of your favorite characters but the music is nice and soothing. 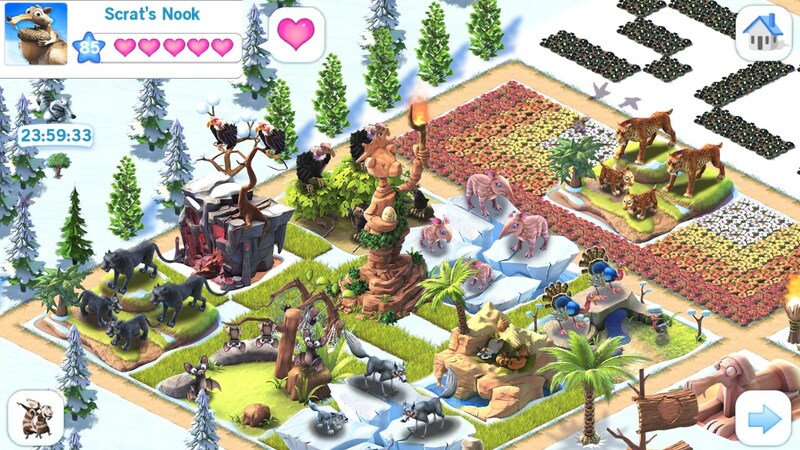 Although true gamers will be bored by Ice Age Village for Android, the more casual users will have fun expanding and decorating their village. 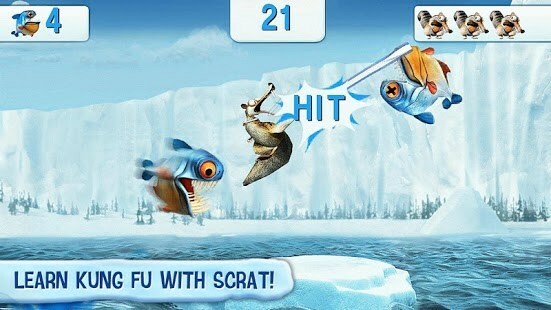 Playing mini-games like Scrat-Fu is silly little fun and once connected to a social network; you can visit your friends’ villages and search for that silly, out of control squirrel, Scrat.